Summer storms often bring hail or wind damage with them. These claims are typically confined to your roof or siding. 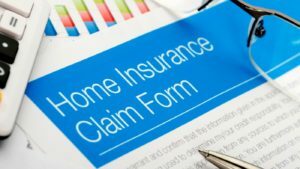 First, you should review your current home insurance coverage to make sure you’re protected in the event of hail or wind damage, as these endorsements are not always automatically. There were an estimated 2,159,878 burglaries in 2010, according to the Federal Bureau of Investigation, and 74 percent occurred at residential properties. One of the quickest ways to help prevent a break in is to remove your spare key. No matter how great your hiding place is, a burglar could still find it and gain access to your home. Give your spare key to a friend instead. Whether a grease fire in the kitchen ignites and sets your entire home ablaze, or lightning strikes and throws your electrical system out of whack, fire claims are among the most expensive. Call your carrier to make sure you’re covered and to discuss the parameters of your policy. If your home were to burn to the ground, it’s imperative that you have the correct amount of coverage to help you fully rebuild. Most water damage claims are not caused by weather events but rather events such as a pipe bursting, or plumbing or appliance issues. All these common are correlated with people’s behavior, including a lack of maintenance, structure characteristics, and location, in combination. These incidents make up the majority of residential insurance claims.